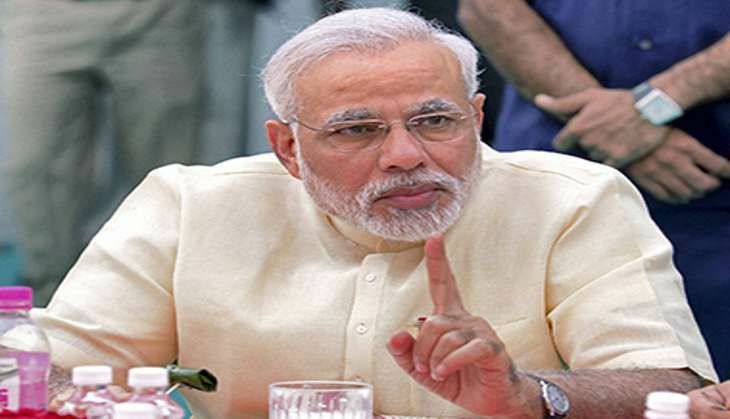 Prime Minister Narendra Modi is expected to visit Gujarat next month for inaugurating a global exhibition. PM Modi will participate in the inaugural session of a biennial global expo (Switch Global Expo) of power sector under the Make in India campaign promoted by Government of Gujarat through Gujarat Urja Vikas Nigam Limited slated to be held in Vadodara from 6-10 October. At the inauguration of the expo, CM Vijay Rupani, Deputy CM N Patel and Baba Ramdev will also be present. A senior official of PMO, its secretary Santosh Vaidya had visited Vadodara on 20 September and met with the collector and inspected the site of the event, Sardar Vallabhbahi Patel Exhibition Center premise. PM Modi was recently on a two-day visit to Gujarat from 16 to 17 September to celebrate his birthday. On his 66th birthday, he visited Limkheda in Dahod and Navsari. On 17 September he had gone to seek blessings of his mother in Gandhinagar.